President Donald Trump, who said this week that Puerto Rico should not receive another dime in disaster aid, claimed that he had done more for the U.S. territory than “any living human being,” on Thursday. A 2018 Washington Post/Kaiser Family Foundation poll, however, found that 80 percent of Puerto Rican’s would rate Trump’s response to Puerto Rico as poor or fair, and just 15 percent of Puerto Rican’s rated his response as good, very good or excellent. Appropriations Chairman Patrick Leahy and Schumer sent a letter to a number of White House officials this week claiming that millions in disaster aid approved by Congress for Puerto Rico still remains in the Treasury and has not yet made its way to the island. On Wednesday, a White House official told NBC News that the president opposed sending funding to the territory because officials had not yet submitted a plan to fix the power grid. But Puerto Rico Governor Ricardo Rosselló said Tuesday that he would soon sign into law a bill with plans to privatize the island’s public power authority. The administration official also said Puerto Rican officials mismanaged the funds they have already received, and implied that they would be using them to get out of debt. The U.S. appointed fiscal board overseeing the island’s financial recovery, however, has not said it would use relief money to pay off debt. Any efforts to do so would require approval by Congress. The president has also repeatedly claimed that Puerto Rico received $91 billion in aid. It is unclear where the president is getting these figures. 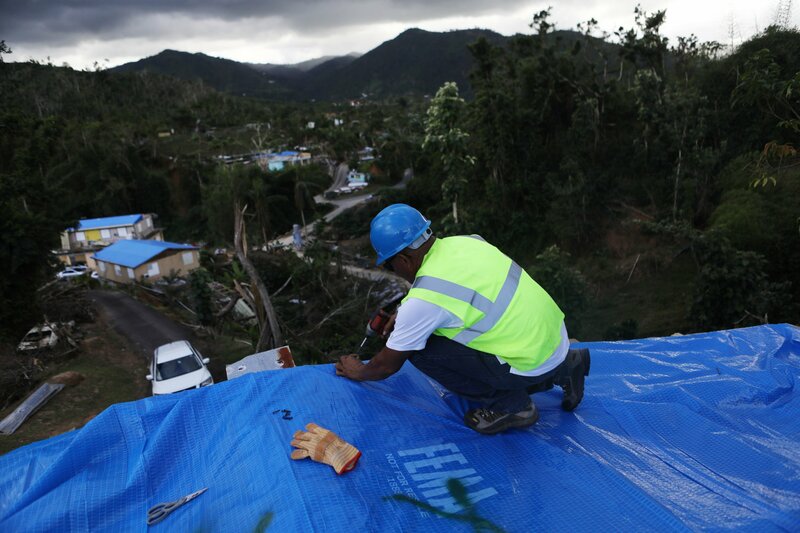 It is similar to the cost of the damage Puerto Rico has estimated was done by the hurricane, but not to the amount that has been approved in aid by Congress. The Washington Post estimates that about $24.7 billion in aid has been approved. That’s similar to the $29 billion in aid Texas received after Hurricane Harvey. Rosselló responded to the president’s closed-door comments by saying of Trump that, “If the bully gets close, I’ll punch the bully in the mouth,” to CNN. Hurricane Maria killed at least 2,975 people in 2017, it was the deadliest natural disaster in the United States in 100 years.